In the early 1990s, backboards stood no chance against Shaquille O’Neal. He didn’t just shatter the glass, Shaq actually destroyed the support systems holding up the backboard. 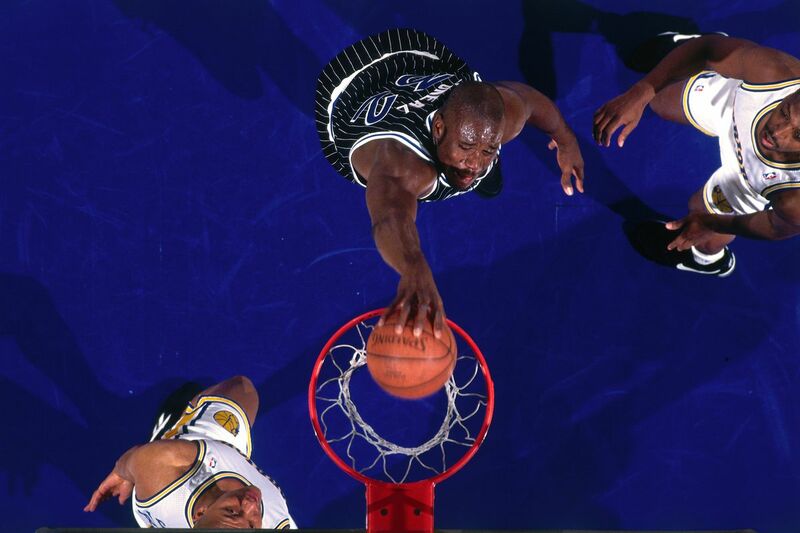 During his rookie season with the Magic in 1993, Shaq’s put-back dunk somehow deflated the hydraulic system that holds up the backboard, causing it to fold up and lower to the floor. Later against the New Jersey Nets, Shaq nearly decapitated himself with the shot clock after pulling down the entire backboard on a dunk. So, clearly, the NBA had to Shaq-proof the hoops. “We had a new thing this year with (backboards) both coming down and being broken,’’ Rod Thorn, the chairman of the competition committee at the time, told the Orlando Sentinel. ‘’We’re going to make sure that all of the equipment is up to snuff. “Heart & Hustle” podcast: Is there hope left for the Orlando Magic in the series?